These Israeli Tichels far outshine their “original” cousins. Having never been a big fan of these types of tichels available widely in Israel (due to their flimsiness), once I started purchasing the Wrapunzel version I was pleasantly surprised. Whilst still thin and comfortable to wear for working out, sunbathing, or a quick dip in the pool, they are by no means see through. 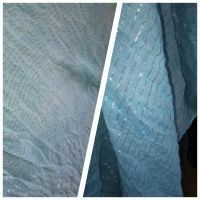 These tichels hold up great in the wash, colors stay bright, they don’t shrink (wash cold & air dry). Additionally they work great as a base or additional tichel for a pop of color without adding unwanted bulk. I was looking for a simple, light tichel to endure very sweaty runs and hot wash cycles afterwards. These Israeli tichels are perfect. Perfect size to tie, perfect thickness to still feel a breeze, and perfect durability to make it through many, many workouts. Great for swimming/ beach days too! While I have so many of your wonderful rectangular scarves, I am really in love with your square tichels. 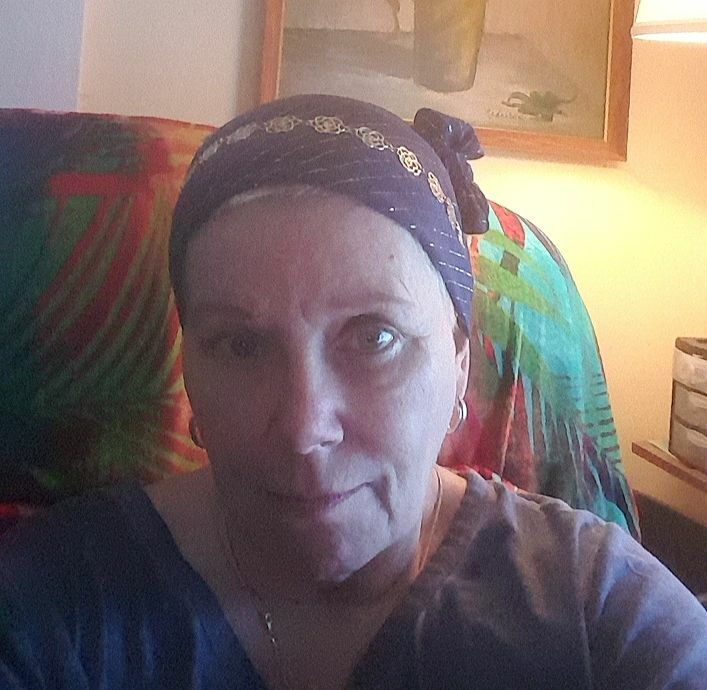 They are easier for me to tie than larger scarves (partly disabled, have difficulty with my hands) so I need less or no assistance to tie them myself. I’m hoping in the future you will expand your selection of patterns to include more florals ? so others with limited finger movements can enjoy a broader selection , too. I love your website and am inspired by your enthusiasm and wonderful videos. I just received my first order of Israeli tichels this past Thursday…and, really, I don’t know why I waited soooo long to try these wonderful tichels! I think I was a little intimidated by the thought of trying to tie a square scarf, since all the scarves I own are longs. I should not have been. These scarves are soft, very large, and very easy to work with. I had no problems trying a few different ties, even over my 2/3 full Wendy shapers. I am going to be ordering another bunch soon. LOVE these scarves! 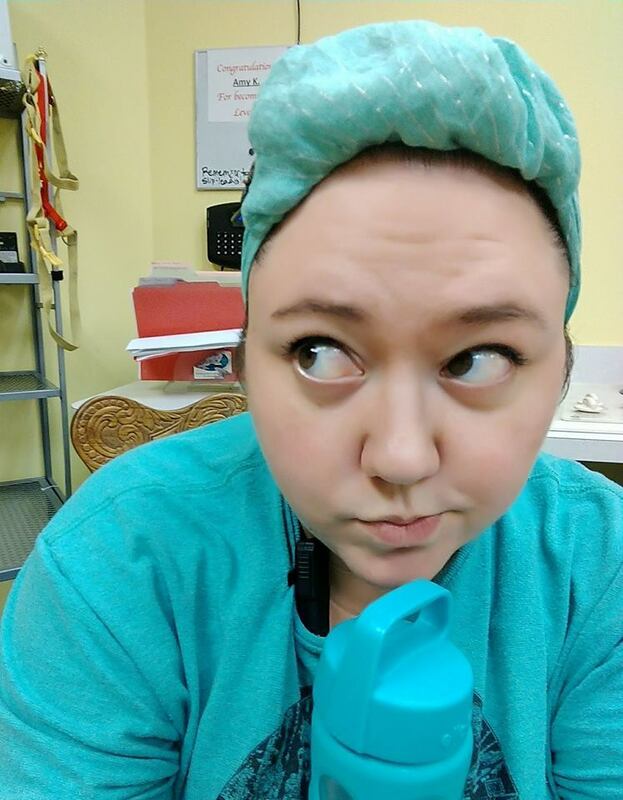 My mint Israeli is my favorite scarf to wear to work, as I work in a SUPER active job with dogs in free play. I like how much easier is it to clean these as compared to my other scarves, especially when we get the rare kennel cough outbreaks and I have to sterilize my clothes and scarves after work every day. So believe me, I am SO EXCITED to see the colors have been restocked! Because I’ll be honest, when you’re washing a scarf *every day* it’s going to fade some. Now I can have multiple scarves in multiple colors and I’m just filled to the brim with happiness. I don’t know how I would ever survive on the hot humid summer days with out these! An absolute summer essential. When ever the silver threads are restocked, I will buy more. Oh sweet mercy, I need to get more of these! They are so pretty and versatile! I love it so much and I can’t wait to have more than just one! Thank you, Lovely Ladies of Wrapunzel for providing such quality products! You cannot buy just one. Trust me on this. 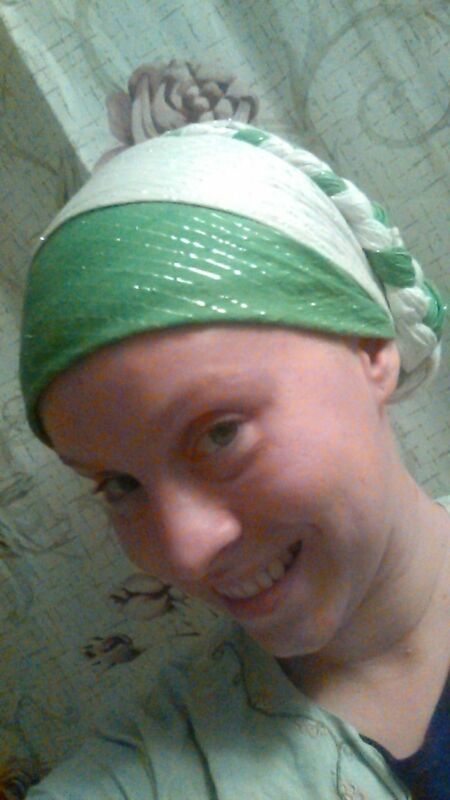 I’m happy to say that I am the proud owner of a green Israeli tichel with silver threads and white one too. I have to say that they are wonderful tichels! I really like the braids that you can do with them and they turn out lovely! They’re light and perfect for summer I used them quite a bit this year and hope to be able to get more in the future. The Israeli Tichels are perfect for a quick poised wrap. 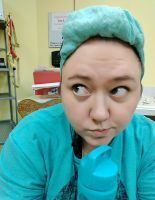 I’m amazed at how I can spend 30 seconds just tying one or two on my head, run out the door, and I almost always get compliments on my headscarf! They are the best tichel for really hot summer days or when you want to look great with no effort. I love how many colors are available! They are just all around great tichels! I love the versatility of these – I can wear them alone when “just running around” or layer them with other scarves to embellish my look! Love these tichels! So light and comfortable. Perfect for layering and experimenting. The first “official” tichels I ever owned I will always love these. If you haven’t tried the new Wrapunzel Israeli tichel yet you really should! And you can add to the love-list the fact that the texture of this Israeli doesn’t flop with the first wash! I wear mine for layering and with or without a shaper. I’m not too used to hot weather and here in southern Finland the past days have been pretty hot considering it’s rare for the lakes to warm up for midsummerday enough to swim, which I did. So for us +27’C is hot. 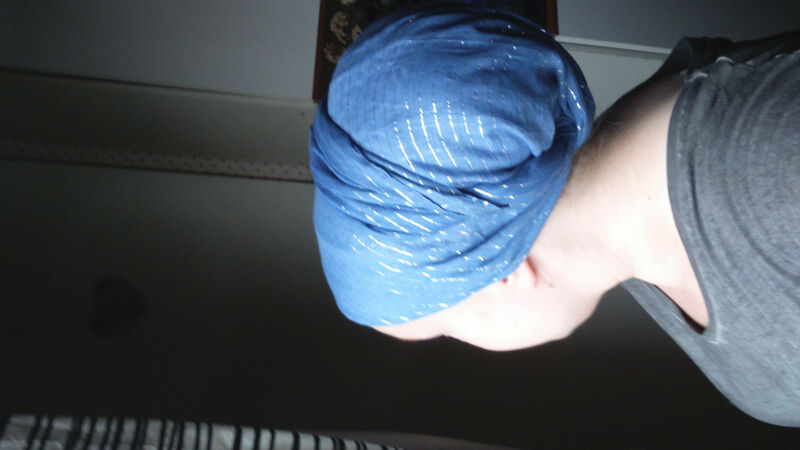 With or without shapers I sweat a lot, so needed to freshen the scarf up more than airbathing. Was really bummed not having thought my scarf choice through since it is my favorite Israeli color the aqua. But it came out almost the same!!! I used a 14 min superquick wash with low tumbling and the scarf was in a laundry bag. 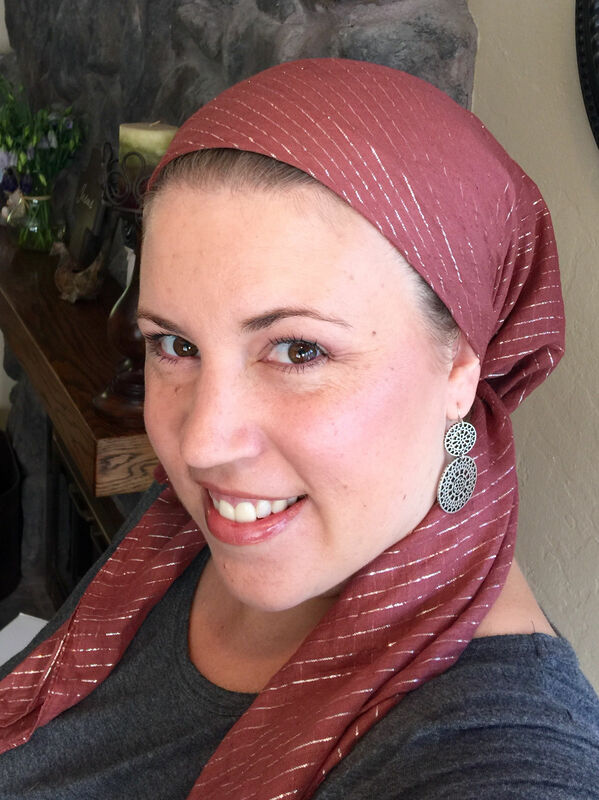 If you haven’t tried the new Wrapunzel Israeli tichel yet you really should, and you can add to the love-list the fact that the texture of this Israeli doesn’t flop with the first wash! I wear mine for layering and on its own, with or without a shaper. I’m not too used to hot weather and here in southern Finland these past days have been pretty hot considering it’s rare for the lakes to warm up for midsummerday enough to swim, which I did. So for us +27’C is hot. With or without shapers I sweat a lot, so needed to freshen the scarf up more than just airbathing. Was really bummed not having thought my scarf choice through since it is my favorite Israeli color, the aqua. I just have to say I recently bought the white with silver threads and I love it! I like to fold it and use as a sash or just do a simple and light regal wrap or since the tails are nice and thin when tied in a triangle you can make them into a bow or a long braid. They are the perfect summer tichel! These are my go-to summer scarves. They look great with or without a shaper, and if I’m not in the mood for velvet headband, they don’t slide! 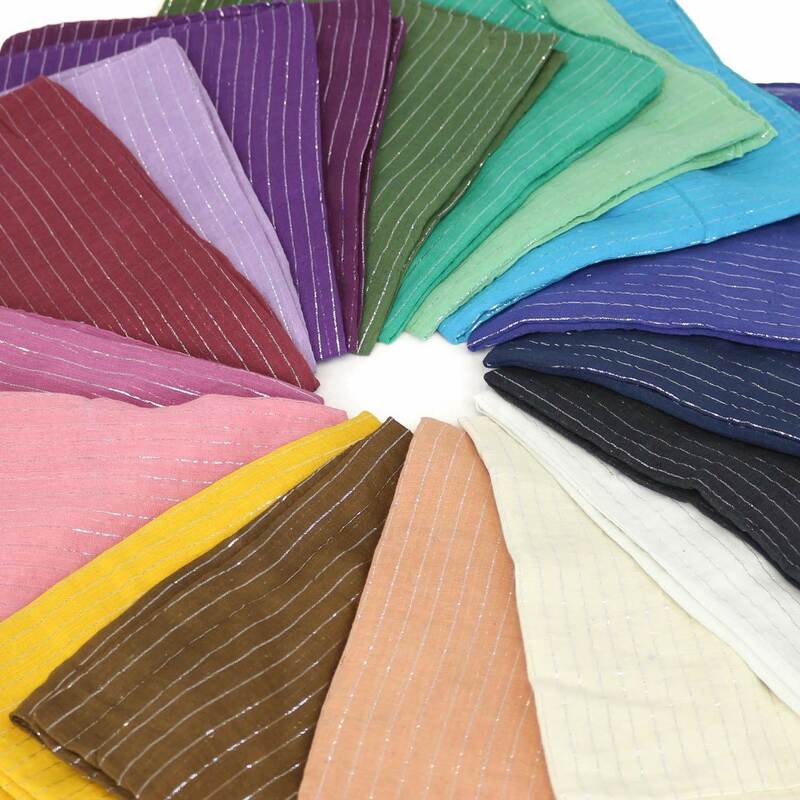 Make fancy ties, or make simple ones…these scarves work for everything! I have almost every color! I am partial to the silver threads because they look so classy! Very lightweight and fun to wrap with two, plus finishing off with a braid= gorgeous! I cannot say enough about how pretty and versatile these are! They are lightweight, comfortable in the summer heat, and the colours are beautiful. The quality is excellent. They do not fray easily like similar products. I want them in every colour!